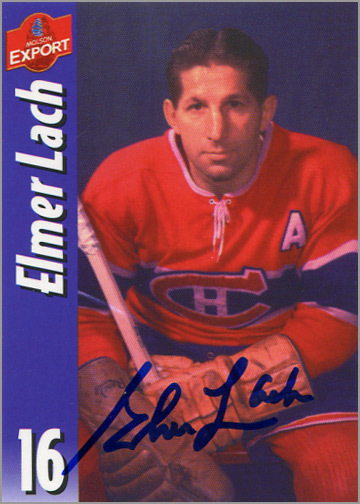 Elmer Lach, a former Montreal Canadien and an honored member of the Hockey Hall of Fame, died on Saturday at the age of 97. He was the oldest living former member of the Les Habitants at the time of his passing. 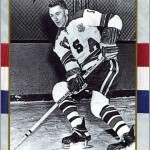 Lach played in the NHL from 1940 to 1954, and was the center of the “Punch Line” with Maurice Richard and Toe Blake on his wings. 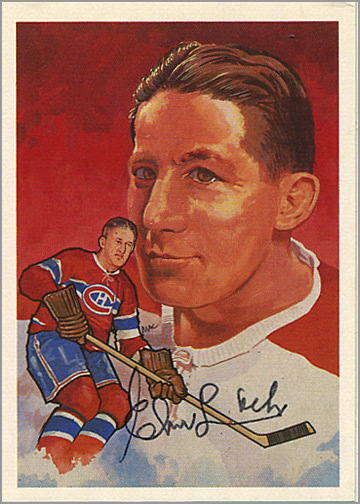 He was inducted into the Hockey Hall of Fame in 1966, and had his jersey number, 16, retired by the Habs in 2009. 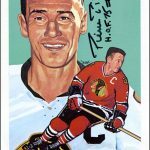 Despite all these accolades, Lach remained humble and fan-friendly, and always signed autographs for anyone who wrote to him. 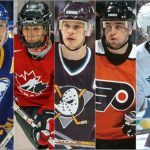 Lach retired more than 20 years before I was born. I never saw him play, never saw him win the Stanley Cup (three times), the scoring title (twice) or the Hart Trophy. Yet eight years ago, I wanted his autograph because he was a member of the Hall of Fame — longer than I had been alive. So I wrote him a letter in April 2007, humbly asking him to please sign my Hockey Hall of Fame trading card. Exactly two weeks later, I received a response from Lach. He obliged my request, signing my HHOF card in shaky handwriting. But he went beyond, and also enclosed two autographed copies of this team-issued card. beautiful card, beautiful story. i’m happy for you both. I had a similar encounter when he signed a puck for me through the mail. What a gentleman. To me these are more than autographs – they are pieces of history.